Desoutter spare parts go to digital with Service Link! Through Desoutter web site, in Service Section, Service Link is single go live spare part access point! Organised per tool for an easy navigation, plus a powerful search function for a quick result. Type a tool name or ref ID, here you are with spare part details! How to know to which tool a spare part belongs to? Just click on “Where used” function! In one click, Hotspot Function in exploded views select relevant reference ID for a Quick and Easy spare part identification! Prepare a basket in Service Link and customise it with internal references. Download it in PDF, XML or Excel files and improve your usual order process. Or, direct place orders through your eConnect account. Go live updates! 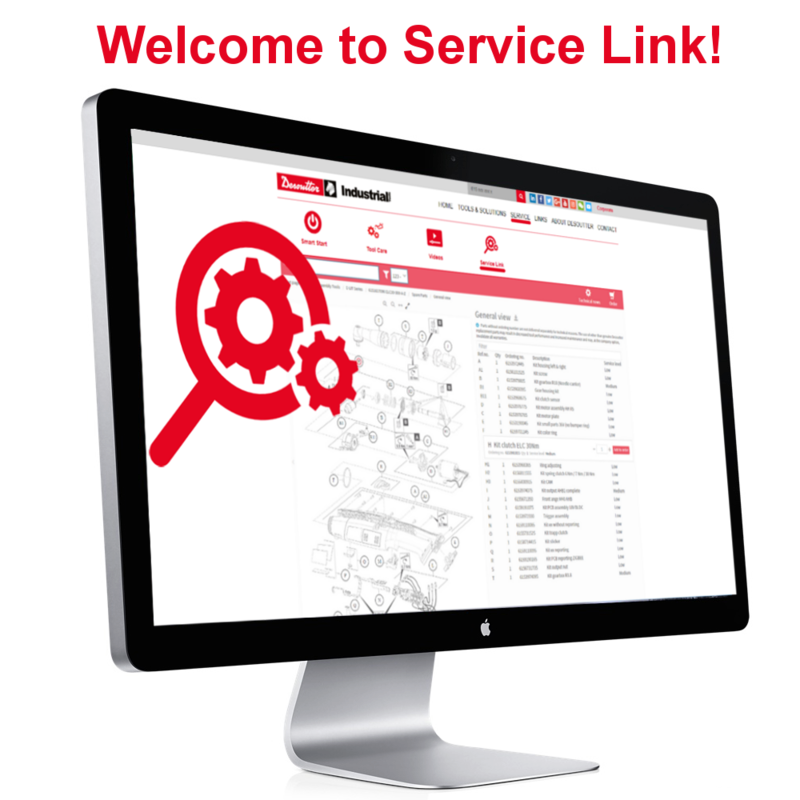 Whenever you need, download up-to-date documentation, either complete overview or partial details of tool spare parts list!